A recent cyberattack that hit North American, Asian and European computer networks this year is now being reported to be the work of North Korean hackers. 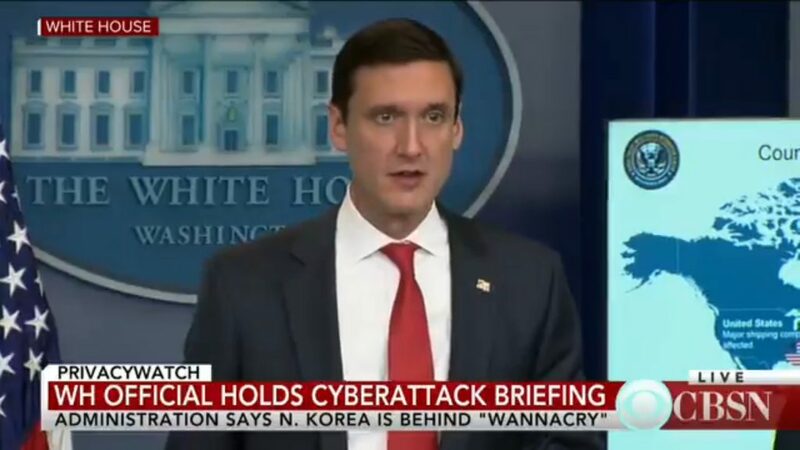 Thomas P. Bossert, who coaches Trump on counter-terrorism, said that the allegation of North Korean involvement is “based on evidence” and that the allegation is backed up by fellow governments such as the United Kingdom along with help from experts with Microsoft, who traced the attack to the tiny nation. If you’ve noticed the recent rise of Bitcoin from its journey from a few cents to where it is now at roughly $20,000 USD per coin, you might not know one of the reasons why it has become a crucial commodity. The coin, which is an online currency not backed by gold or government, is currently accepted as payment from companies like the bath shop LUSH, the computer parts giant NewEgg and until very recently the massive video game marketplace Steam (who dropped out due to volatile pricing). And, due to its ability to allow its users to exchange Bitcoin anonymously, it has also been the ransom of choice for hackers. And that’s what North Korea was up to: their bug hijacked computers all over the world and it would only be unlocked if you paid up in Bitcoin. So, one of the not inconsequential drivers of the Bitcoin price has been the hundreds of thousands of people who have been forced to purchase the online currency to release their own information back to them. In the new National Security Strategy, which has been making headlines due to its exclusion of climate change as a threat, the subsection entitled “Keep America Safe in the Cyber Era” states that cyberattacks are a low-cost way for malicious actors to cause major damage, pointing out that when the Internet was first designed, security was not a priority. In fact, security was a hindrance to the early Internet that wanted to transmit information as quickly as possible. Those of us that remember dial-up (or the millions in rural America who still use it!) can be sympathetic to the early Internet priority of speed over safety. But, that quick response is what makes it so much easier for malicious people to gain entrance. Gee, I wonder which foreign governments they mean?